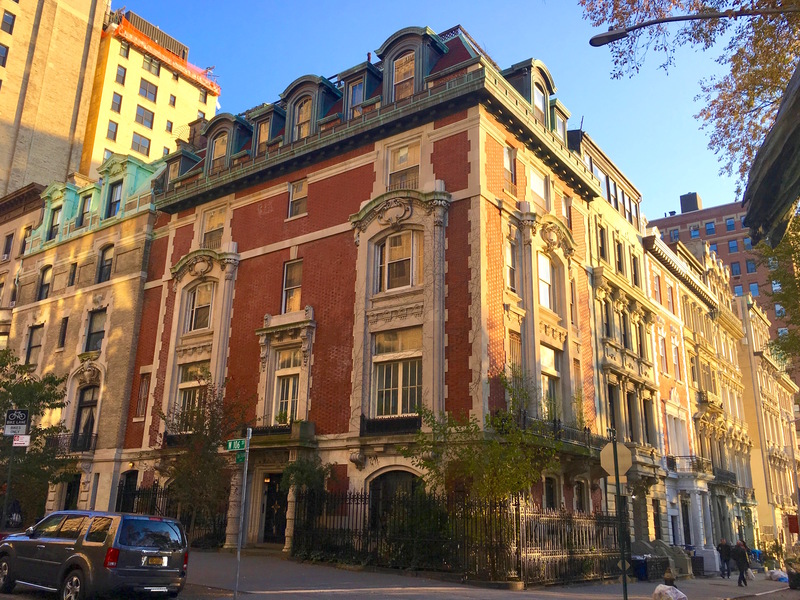 Completed in 1884, the Dakota might be the most famous (and most visually spectacular apartment) house in New York City. It’s even more incredible when you see it standing alone with the trees of Central Park in the distance—at a time when the “West End,” as the Upper West Side was called in the 1880s, was being parceled out for development. Only a lovely row of townhouses a block over hint at what this part of Manhattan would soon become. 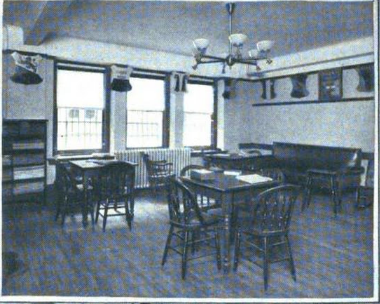 Photo: Office for Metropolitan History via The New Republic, which ran a thorough overview of the building’s early history a few years ago. 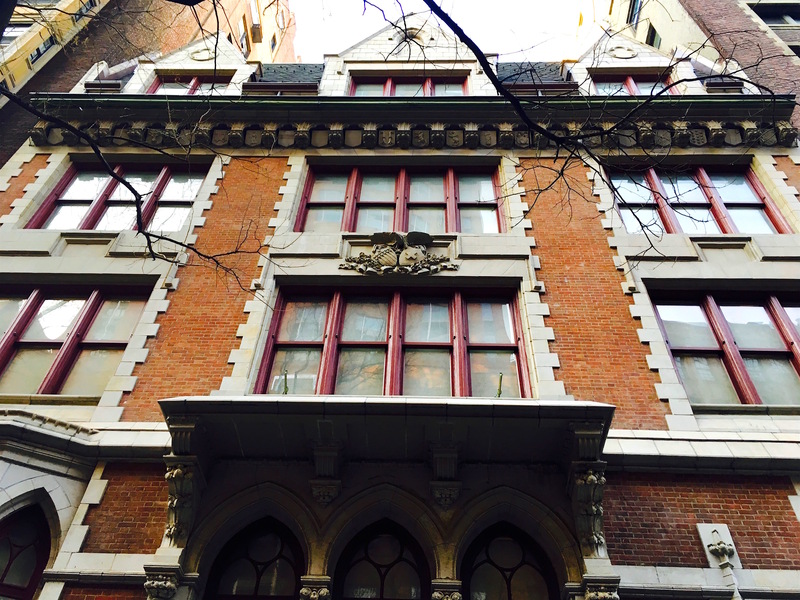 Join Ephemeral New York for “Home Sweet Mansion” on March 5! 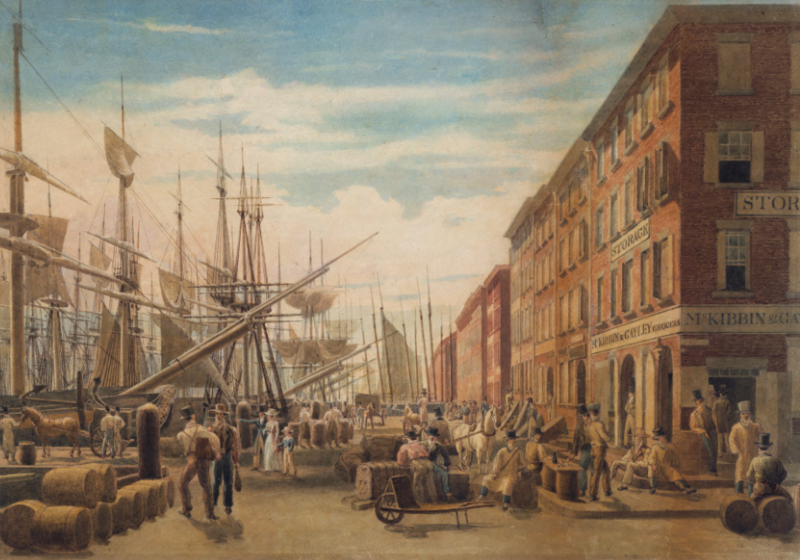 It was good to be a prosperous New Yorker in the late 19th century: beautiful clothing, expensive furnishings, well-kept parlors, and tables laden with food. 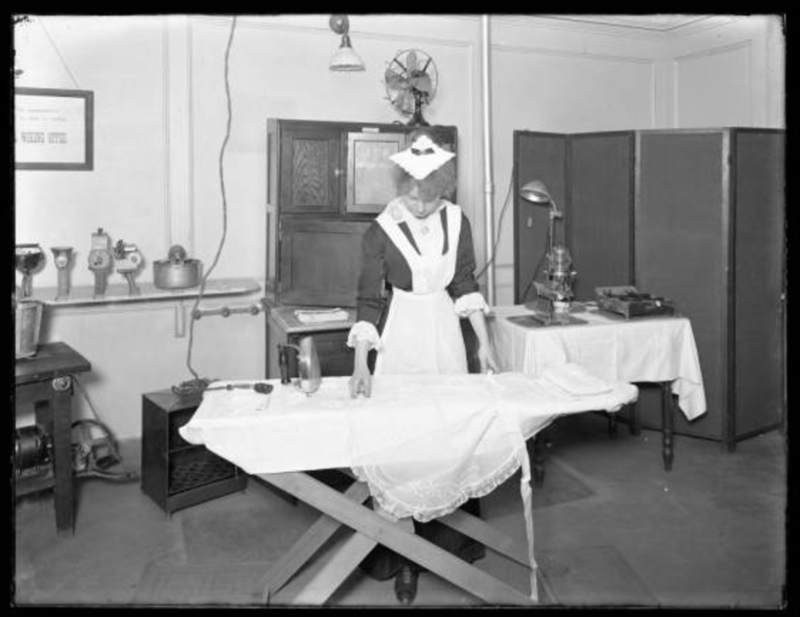 But someone had to do the hard work of actually cooking and cleaning, and it certainly wasn’t the prosperous New Yorker. 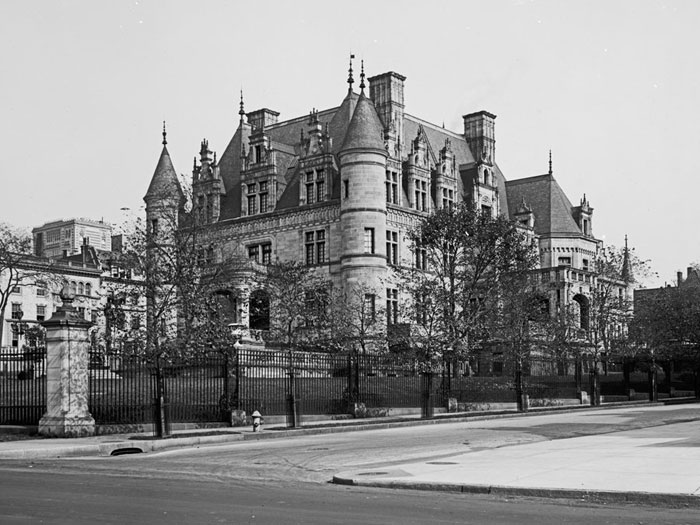 Join Ephemeral New York on Tuesday, March 5 at 6:30 p.m. for “Home Sweet Mansion: A Peek Into the Domestic Lives of Gilded Age New Yorkers,” in partnership with the Upper West Side historic advocacy organization Landmark West. 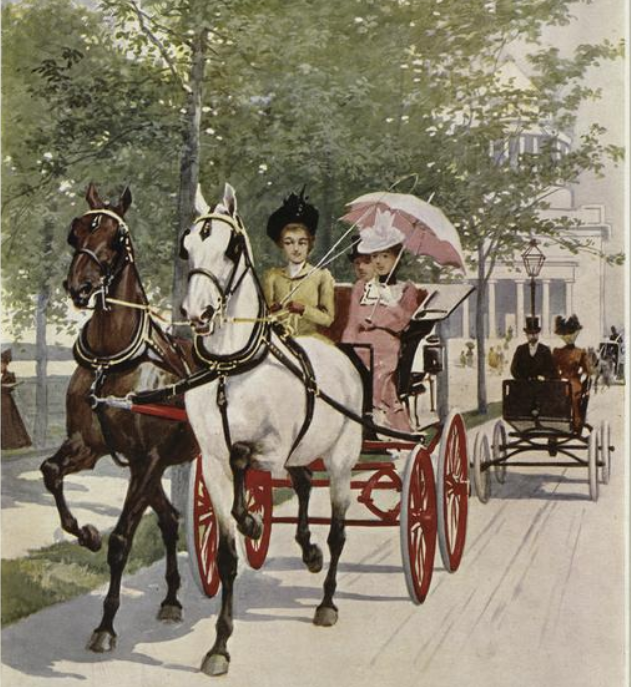 This lively talk at 35 West 67th Street will look at how the upper classes navigated the domestic side of life—and how a staff of maids, coachmen, and other servants managed the households inside the Upper West Side’s sumptuous mansions and elegant brownstones. Details and tickets here! These programs are a lot of fun, and I hope to see Ephemeral readers there. 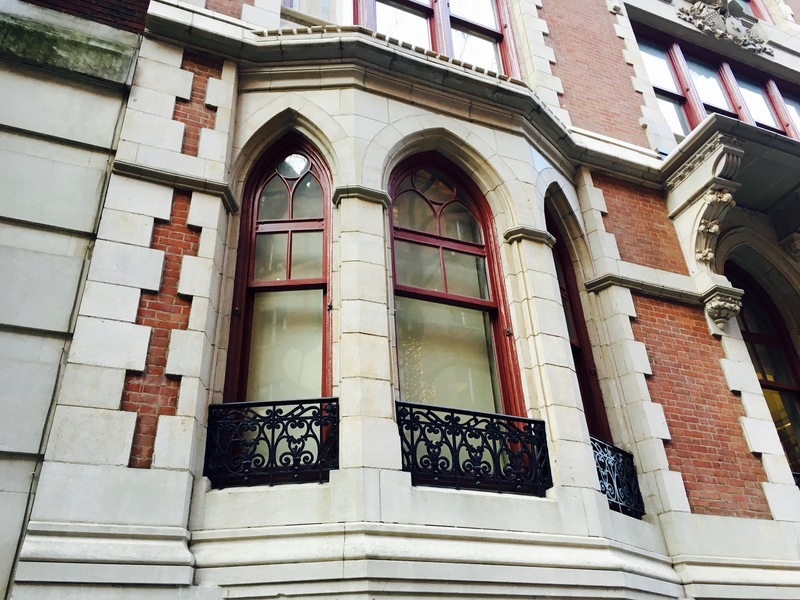 Sometimes you come across a house in New York City that you just sense has a good backstory. 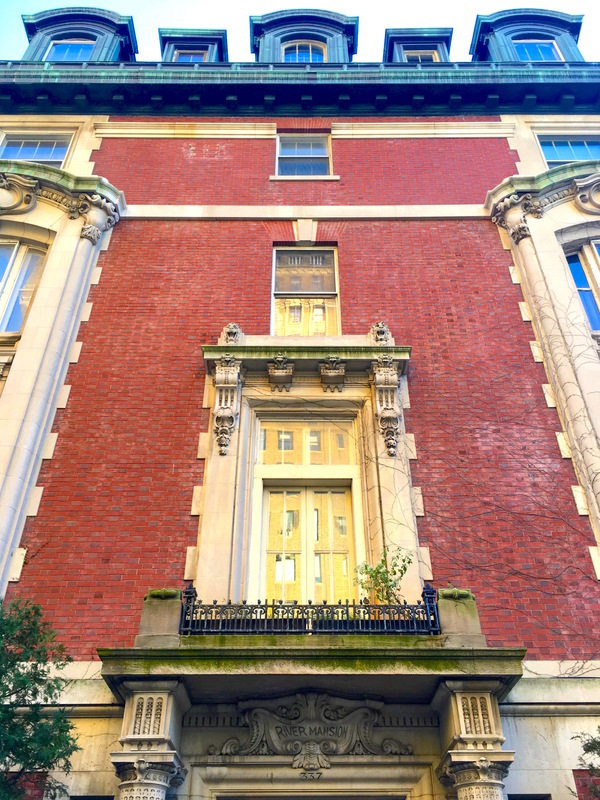 The red-brick house at 337 Riverside Drive is such a place—and its fortunes reflect more than a century of changes on a winding street that began as the West Side’s answer to Upper Fifth Avenue. 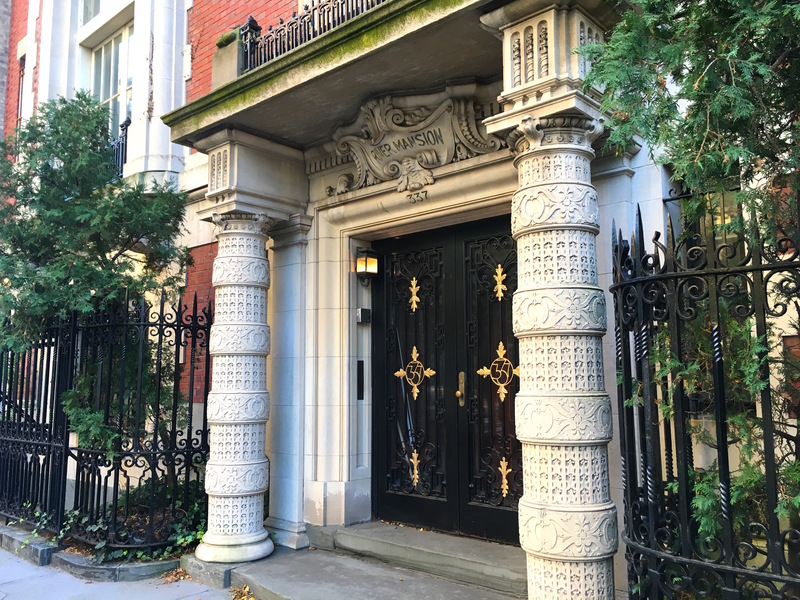 Built in 1902 along with its restrained neighbor to the east on 106th Street, it’s an “opulent Beaux-Arts brick and limestone mansarded mansion,” reported the AIA Guide to New York City. The curves above the bay windows give it something of an Art Nouveau feel too. 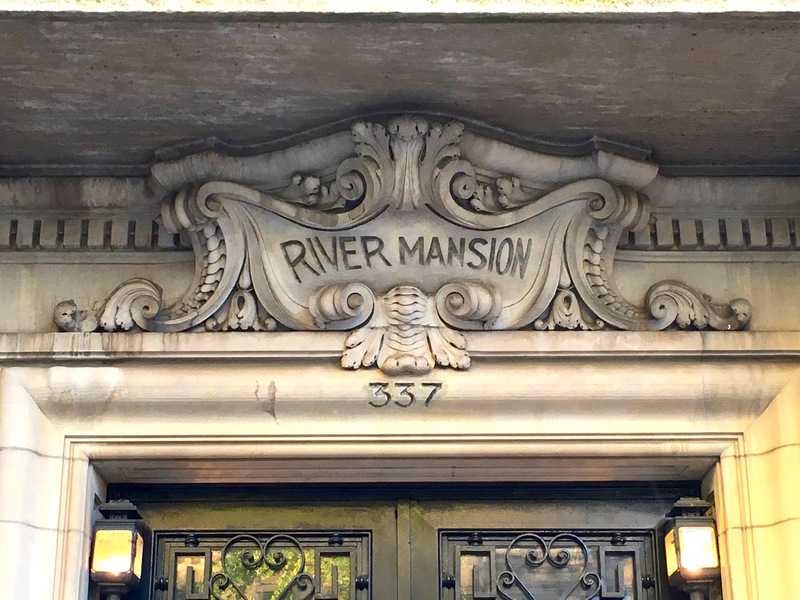 The name inscribed above the front door, “River Mansion,” is perfectly fitting; the oversized home sits on a corner high point beside Riverside Park with enchanting Hudson River views. Of course, the first occupant of such a spectacular place couldn’t be any old titan of industry. 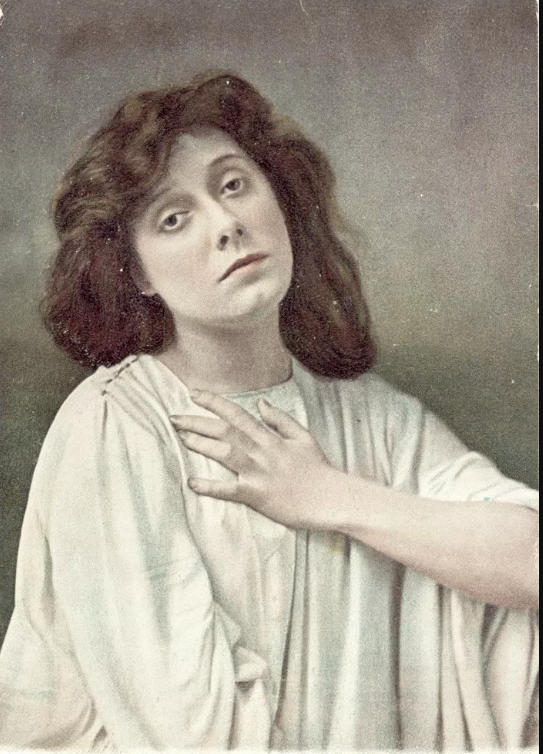 It was purchased in 1903 by Julia Marlowe, a famous Shakespearean actress whose life at the time had all the trappings of modern day celebrity: divorce, talk of a nervous breakdown, and loneliness. 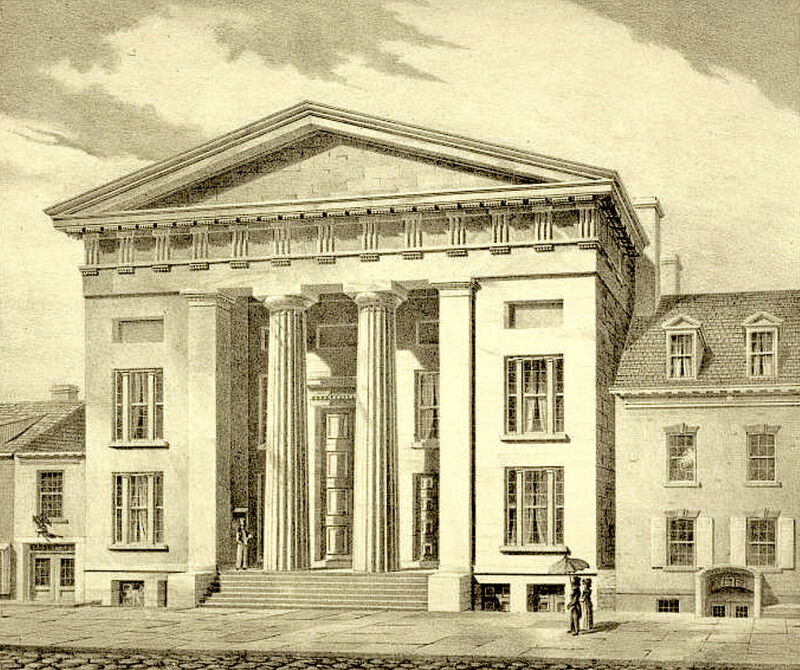 Marlowe—known for taking long walks in Central Park to practice her lines—probably didn’t spend much time here though, writes author Daniel J. Wakin in his book, The Man With the Sawed-Off Leg and Other Tales of a New York City Block. 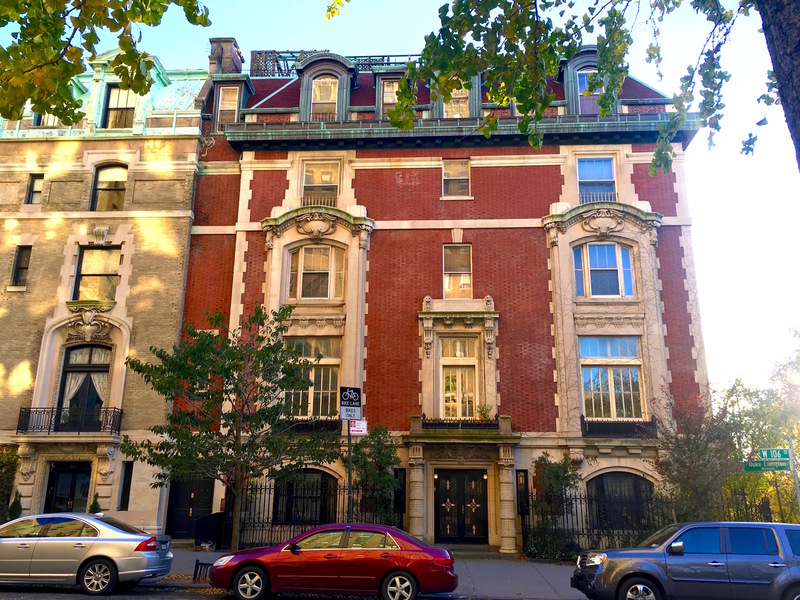 She was on the road a lot, and in 1906 she sold River Mansion to the wife of businessman Lothar Faber, whose Greenpoint pencil factory is now a residence. The Fabers already lived on Riverside Drive, and in a few years they left River House, which took on a succession of short-term owners. By the time the Depression hit, River House had been converted to a rooming house, wrote Wakin, one tinged by tragic stories. A fourth-floor apartment was the home of a doctor who committed suicide by jumping out the window. An Italian-born painter also had a room here; he made a meager living and died poor and alone in Bellevue Hospital of a brain tumor. 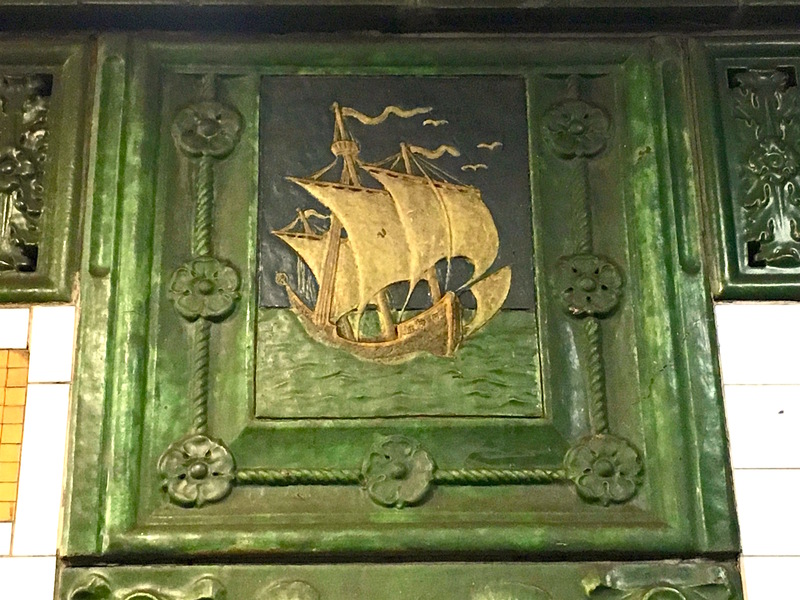 “As the neighborhood continued to decline, River Mansion changed hands several more times in the 1940s,” wrote Wakin, adding that a woman named Mrs. Dickmann ran a boardinghouse here in the 1950s. River House’s bounce back started in the 1970s. It was part of a newly created historic district, and the house went back to being a single-family residence; a music school operated here. 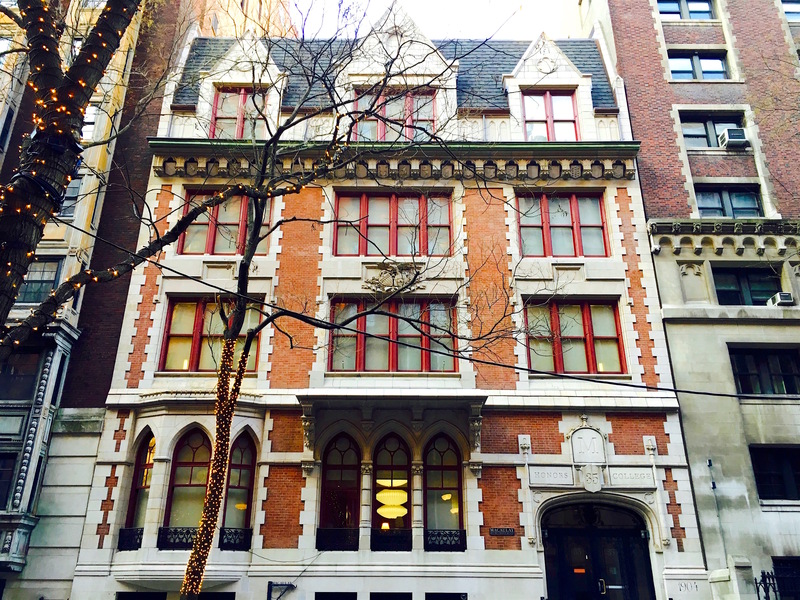 In 1978, Seagrum heir Edgar Bronfman, Jr., bought River Mansion and turned it into his family home. He’s since moved out, but the house remains a personal residence. The Riverside Drive of the early 1900s (seen above at left) is no longer. 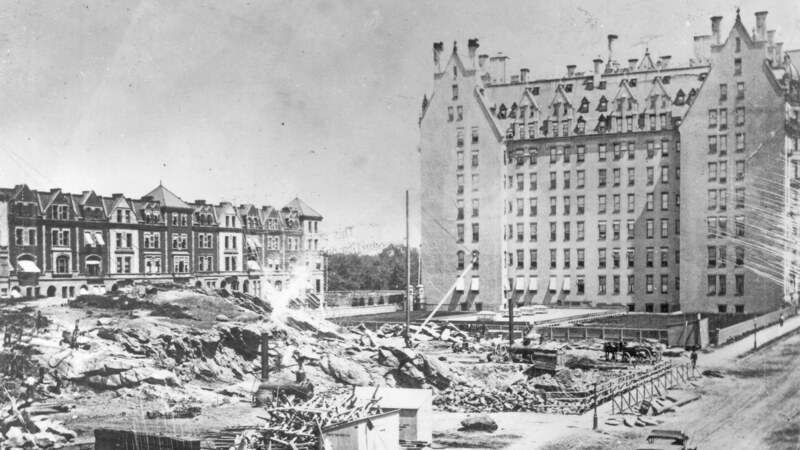 But Riverside Drive once again thrives today—and River Mansion still stands. The facade and structure don’t appear to have changed very much. 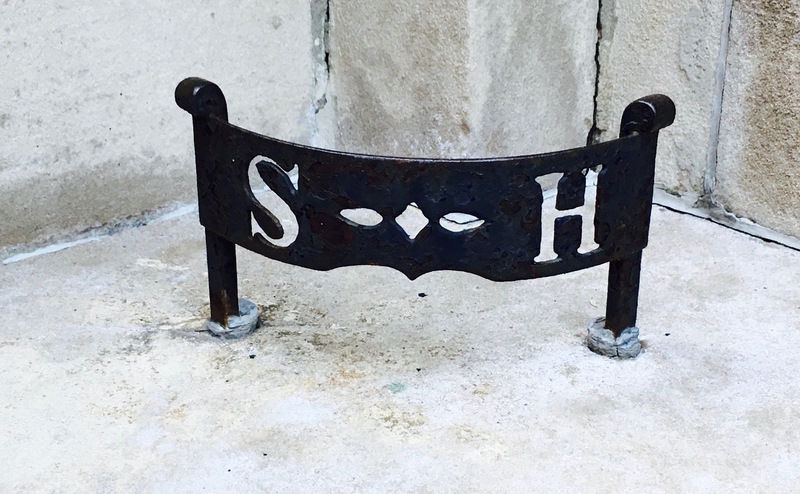 And as a treat, the original cast-iron fence from Julia Marlowe’s time continues to encircle the place, according to the Riverside-West 105th Street Historic District Designation Report. Copper bay windows, grand arches, juliet balconies and a sloping roof: As university housing goes, the 8-story Bancroft Apartments are pretty fanciful. 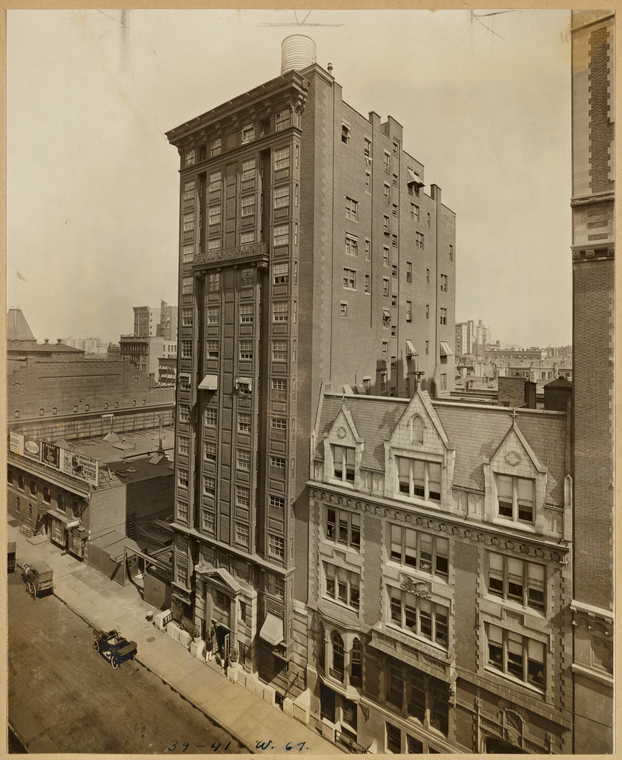 Preeminent architect Emery Roth designed the building, which opened at 509 West 121st Street in 1910. 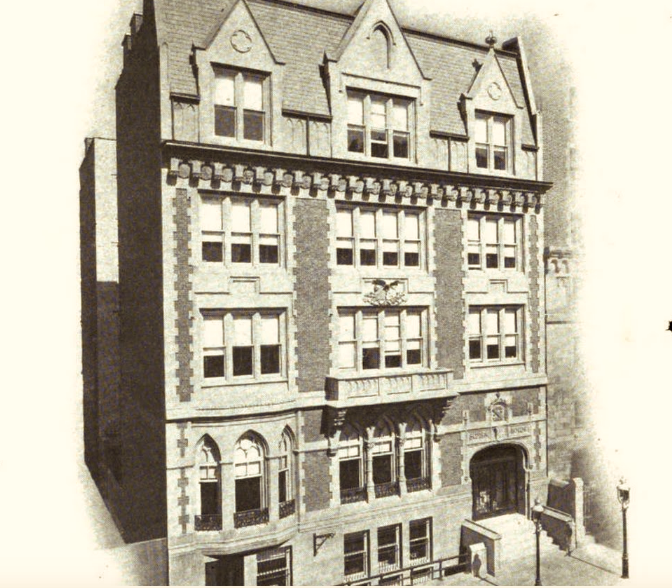 By 1920, it had been acquired by Columbia University’s Teachers College, just a block away in the city’s new Acropolis neighborhood, so named for the many schools in the area. 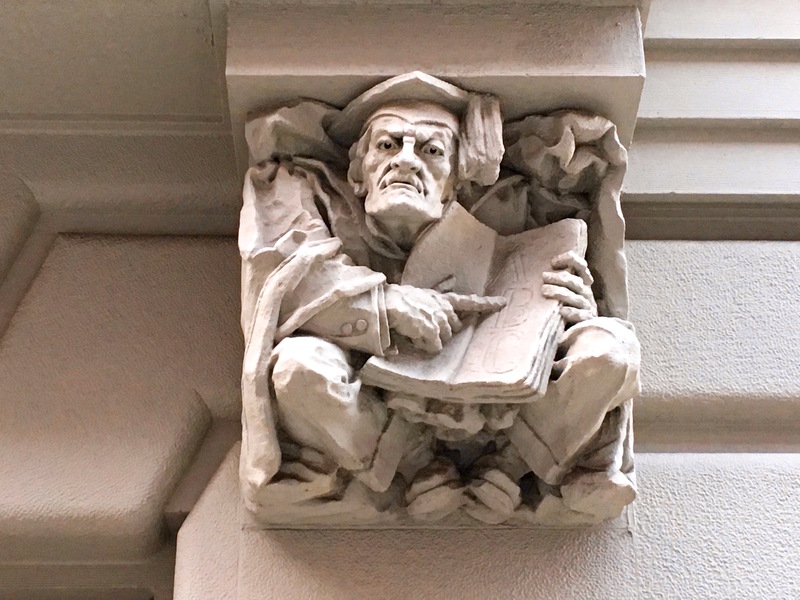 Considering that what’s now called Bancroft Hall ended up housing educators, it makes sense that the gargoyles decorating the facade are nods toward higher learning. 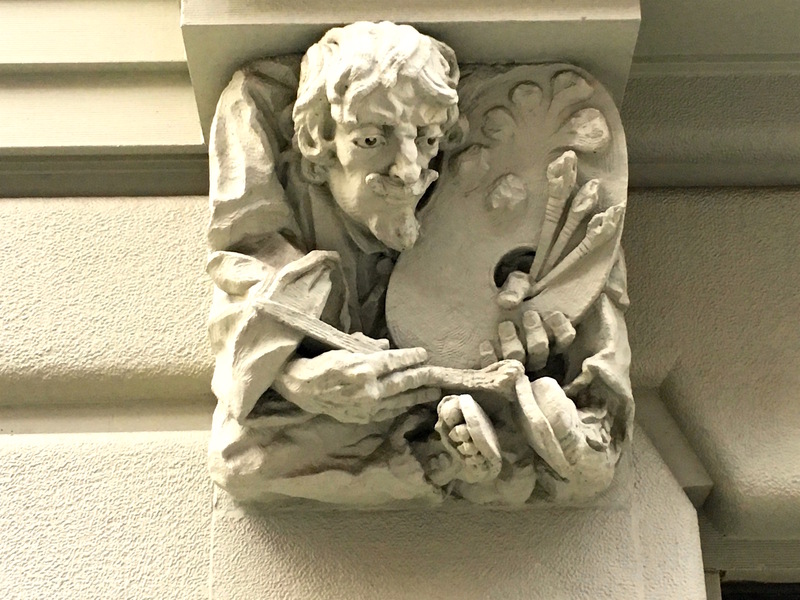 Behold the building’s wonderful painter and scholar (a writer perhaps, pointing to letters in a book?). I don’t think these characters represent any specific people but instead symbolize creativity, education, and imagination. 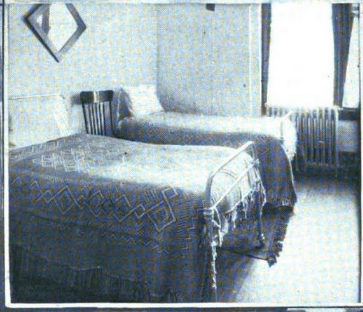 Walter Grutchfield has more on the Bancroft Apartments, including an amazing shot of an inscription on the upper wall. 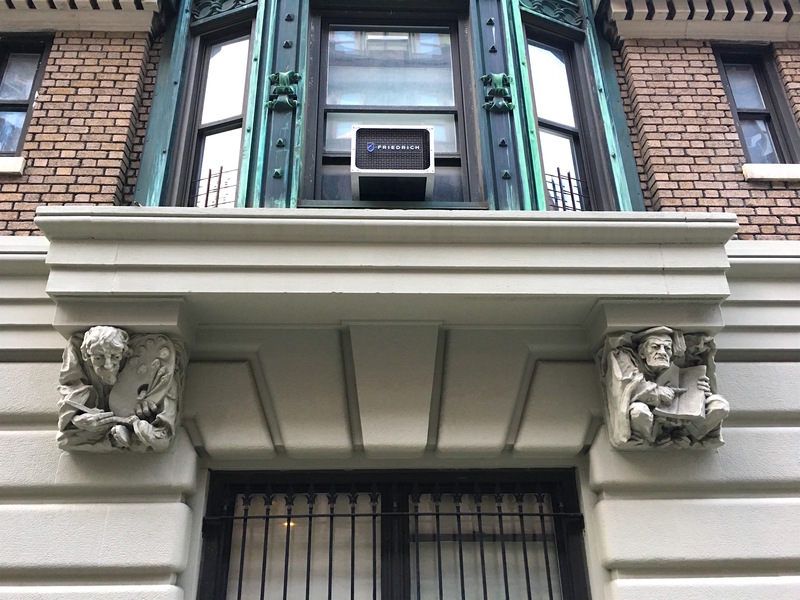 For more Morningside Heights gargoyles, check out these goofy gargoyle examples. 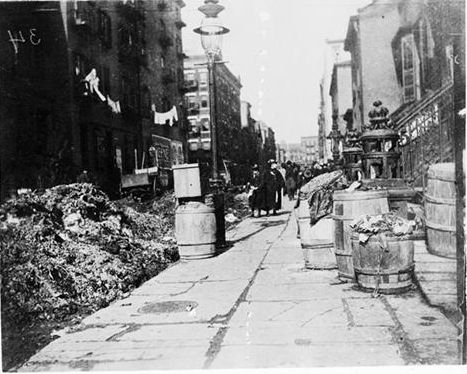 Much of Manhattan in the late 19th century was a revolting place. The stench from factories filled the air. People routinely spit inside streetcars and elevated trains. Manure piled up on streets. Milk carried deadly bacteria. Water wasn’t always pure. 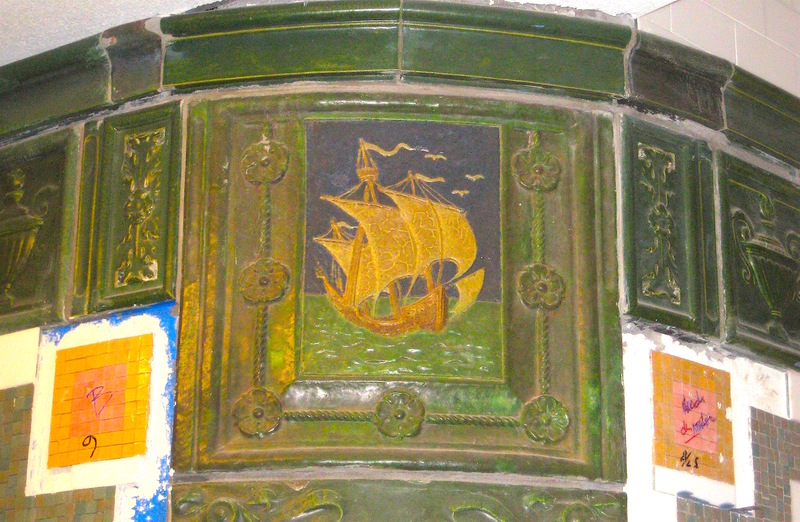 Garbage was often tossed out of tenement windows. 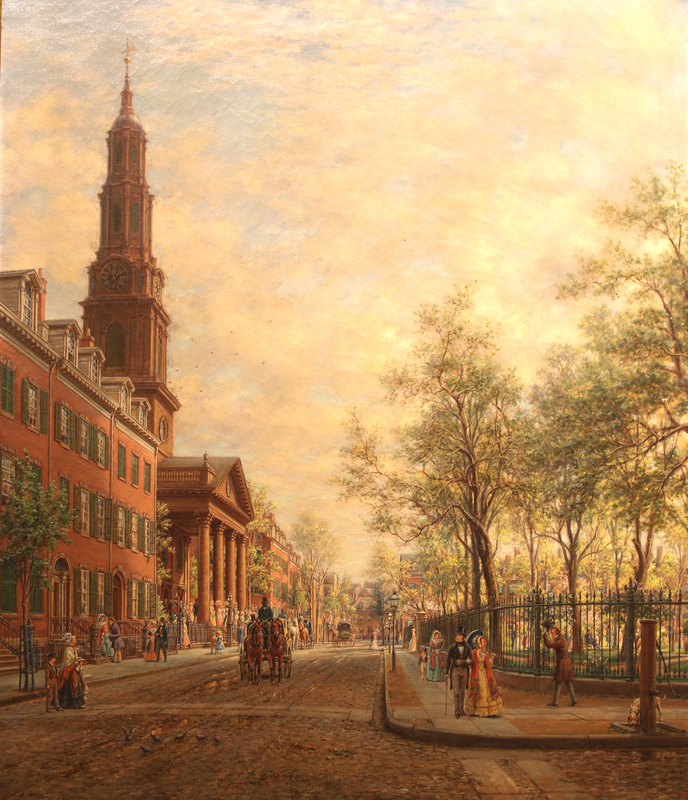 To address the filth, Gilded Age organizations like the Metropolitan Board of Health were formed, hoping to brush up the hygiene of the city. But fed-up private citizens also sprang into action. 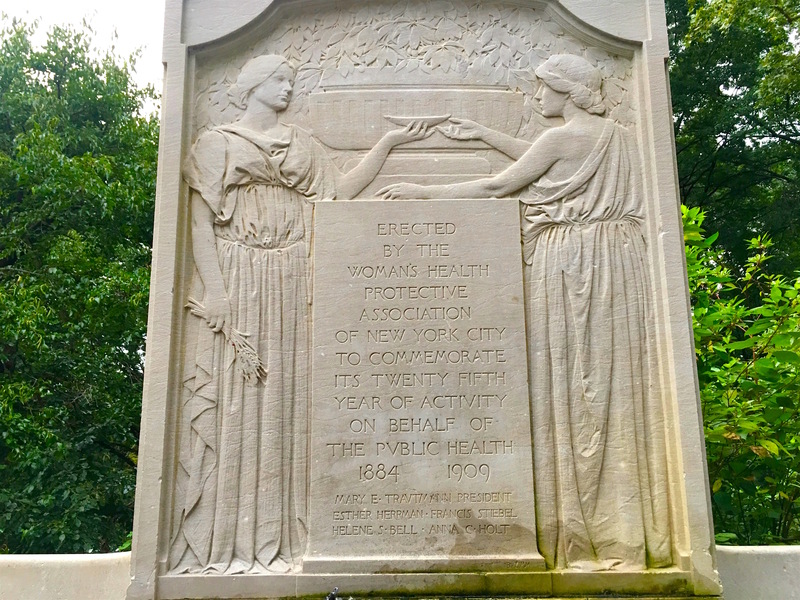 That was the genesis of the Women’s Health Protective Association, formed in 1884 by a group of prominent, reform-minded women tired of living in an unclean New York. The group launched in a moment of utter disgust. 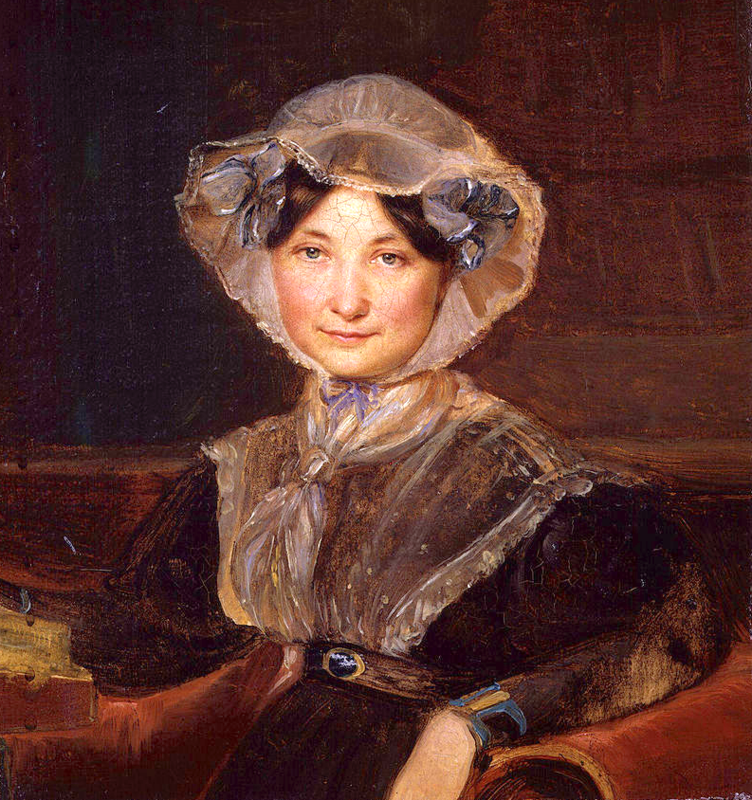 Eleven prominent ladies whose homes overlooked the East River in today’s Beekman, “were so outraged at the continuance of foul odors which polluted the atmosphere of the entire neighborhood, causing them to keep windows closed in the hottest weather, and depriving them of their inalienable right to pure air, that they resolved the investigate the cause of this nuisance,” states an 1898 text. 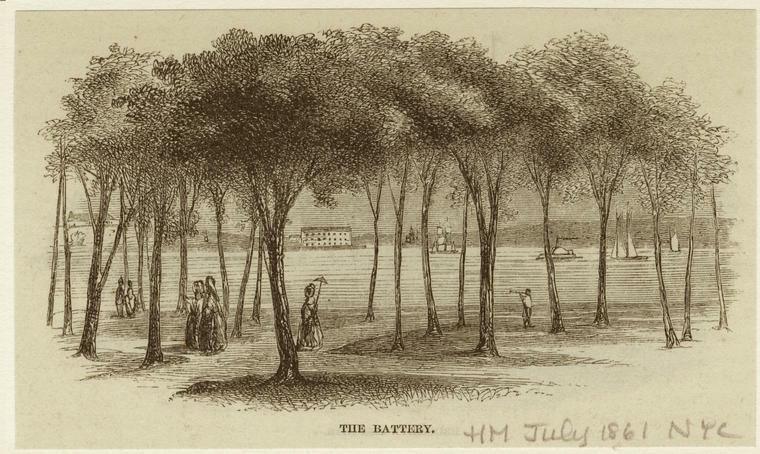 Their proximity to the slaughterhouses, bone-boiling factories, and other stinky industry along the East River waterfront at the time was the reason they couldn’t open their windows. So they did something about it, and helped clean up the city. 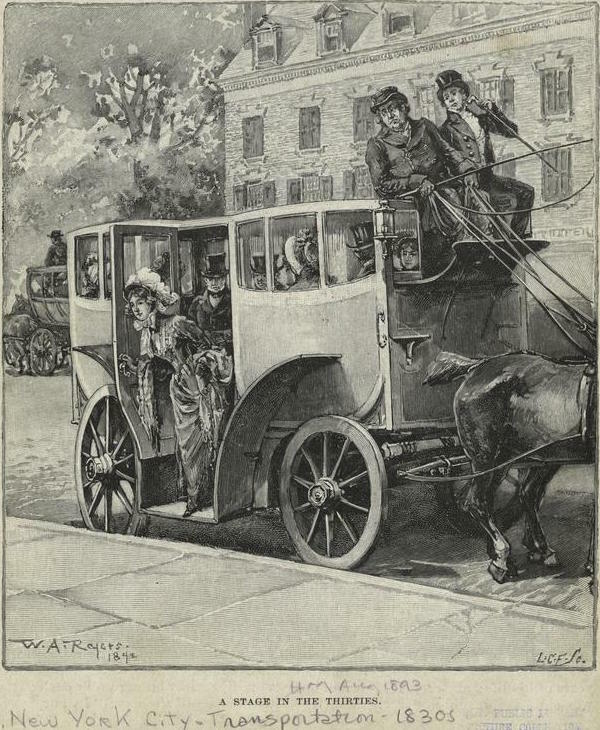 The New York of today is a lot more hygienic in many respects (most of us can open a window without smelling boiling bones), and the WHPA has long since disbanded. Their efforts would otherwise be lost to history. 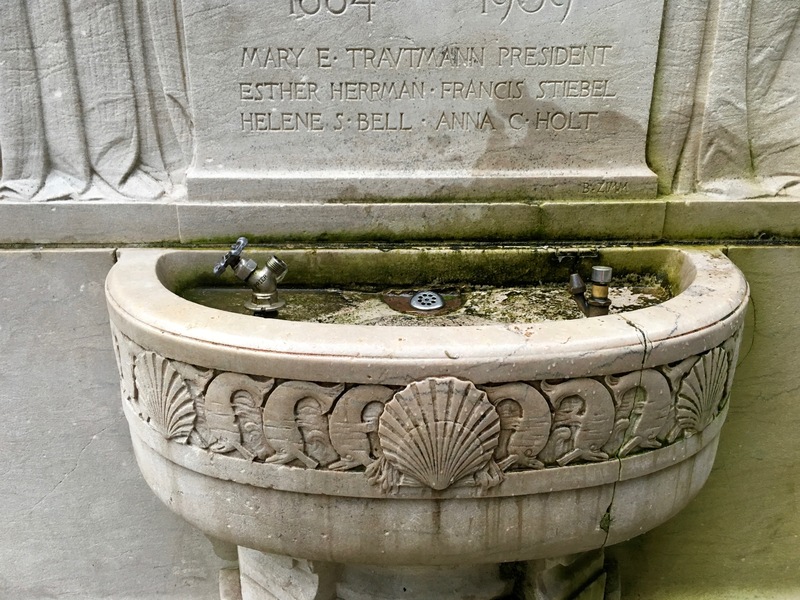 But the group gave to the city a lovely drinking fountain on Riverside Drive and 116th Street in 1909. 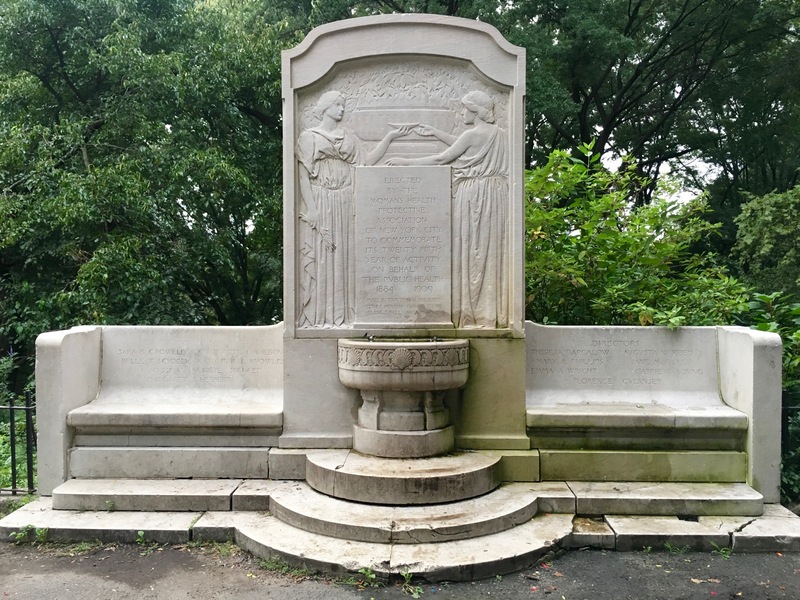 Designed by Bruno Louis Zimm (he also created the Slocum Memorial in Tompkins Square Park), it was unveiled in a ceremony honoring the progress WHPA made “toward the betterment of the health of the public,” according to a Brooklyn Daily Eagle article. The fountain is in an out-of-the-way spot, and it could use some spiffing up…kind of the way the city needed a deep clean back when these ladies got together. 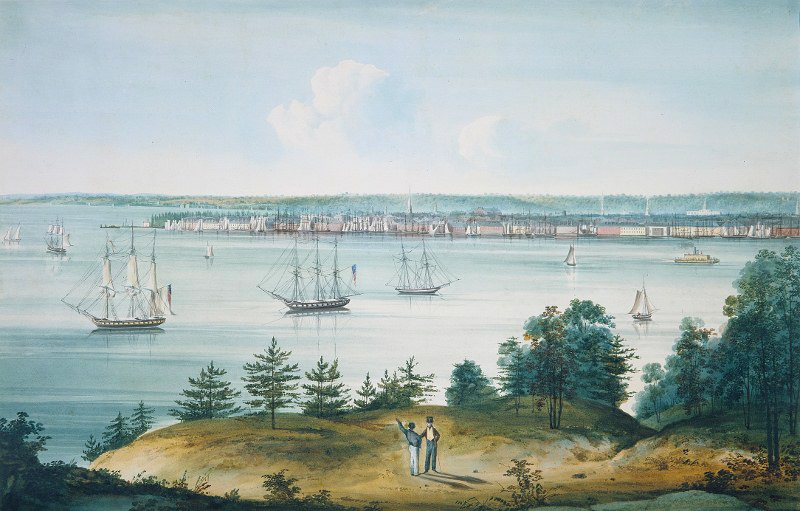 New York City parks and playgrounds don’t just honor the usual city founders and war heroes—they’re named for artists, singers (Diana Ross Playground, anyone? ), even vaudeville comedians. But unless you count the Shakespeare garden in Central Park, not many are named for poets. 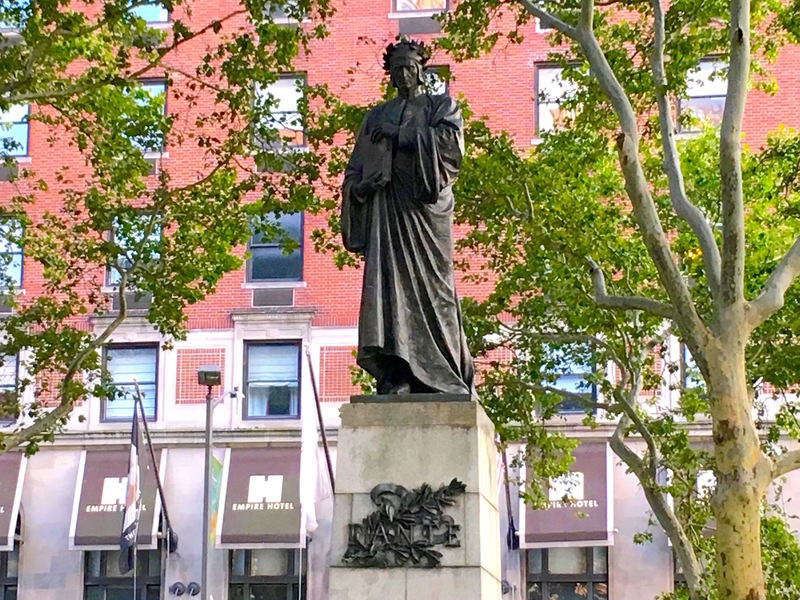 So how did a postage stamp of green on the Upper West Side in 1921 become a monument for Dante Alighieri, the Italian poet of the Middle Ages best known for the Divine Comedy, completed in the 14th century? 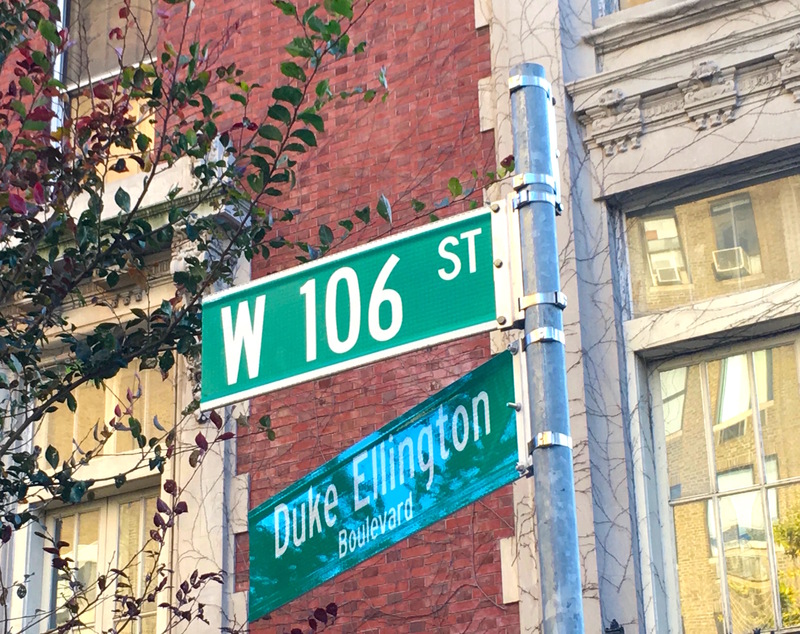 It wasn’t just a concession to the growing Italian-American population in Manhattan at the time. But the growth of this immigrant group was instrumental in naming the park and erecting the bronze statue of Alighieri that still stands. 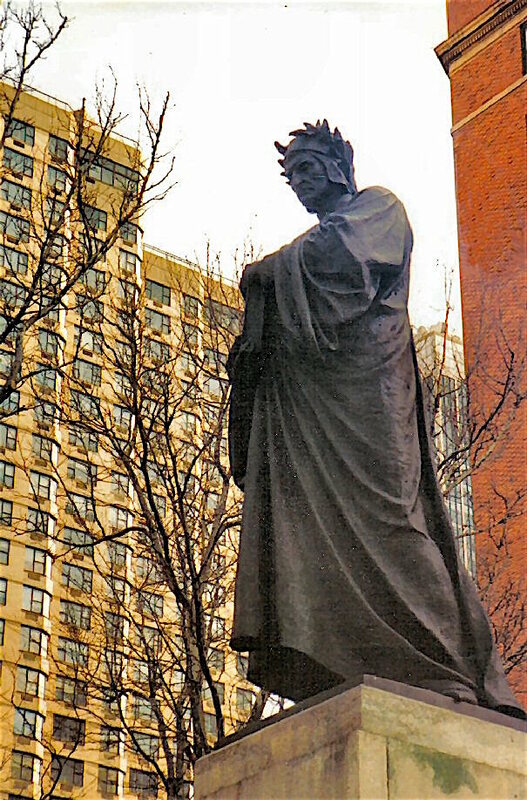 “The New York branch of the Dante Alighieri Society had intended to erect a Dante monument on the occasion of the 50th anniversary of Italian unification in 1912,” states the New York City Parks Department website. 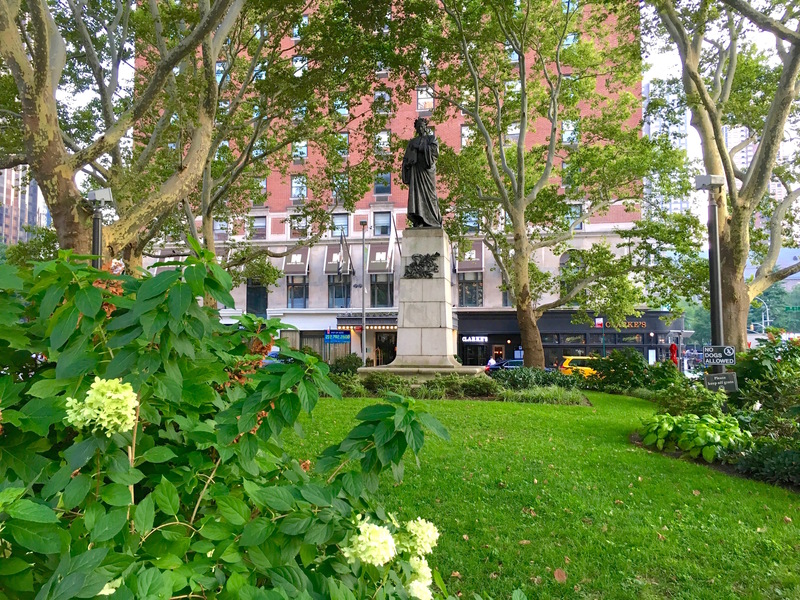 Barsotti had already helped erect monuments honoring other Italians: Giuseppe Garibaldi in Washington Square, Christopher Columbus in Columbus Circle, Giovanni Verrazano in Battery Park, and composer Giuseppe Verdi in Verdi Square—not far from the soon-to-be site of Dante Park, which was then known as Empire Park at 63rd Street and Columbus Avenue. 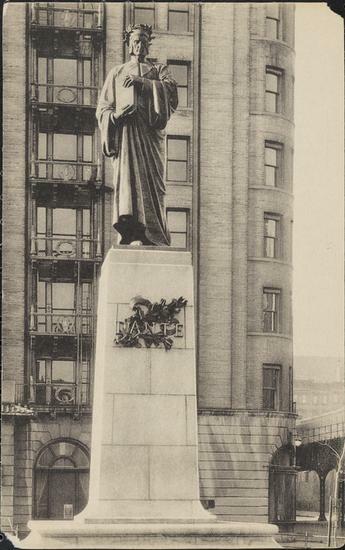 Money was raised, but according to NYC Parks, the sculptor didn’t finish the imposing bronze statue of a robed Alighieri wearing a garland and holding a copy of the Divine Comedy until 1921. 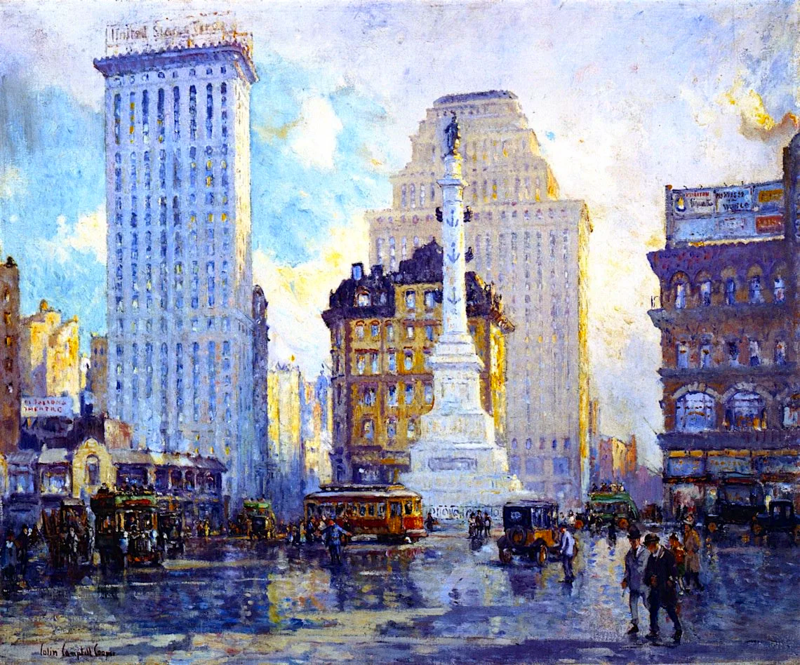 Another source has it that the original monument was too big and in too many pieces, so the city rejected it. Funds were again collected, and a second statue arrived in 1921—past the anniversary of Italian unification yet marking the 600th anniversary of the poet’s death.